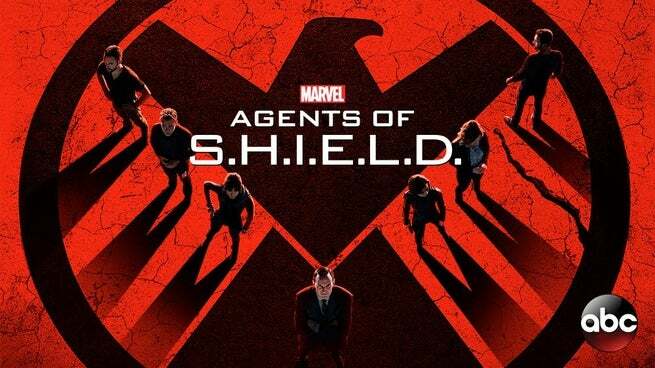 It’s been a big night for fans of Agents of S.H.I.E.L.D. Tonight’s midseason finale, “What They Become,” finally shed light on some the mysteries that the series has been built on since its premiere, including Skye and Raina’s heritage. Of course, there midseason finale also introduced some new mysteries, to be explored in the second half of Season 2 and beyond. We spoke to Agents of S.H.I.E.L.D.’s Executive Producers, Maurissa Tancharoen and Jed Whedon, who shed some light on tonight’s huge episode and what to expect when the series returns in March. Are you guys obsessed with the theories that have appeared online about the show? MT: It’s been entertaining to read them, that’s for sure. JD: And some of them are accurate! MT: Some a little too accurate! Okay, this episode is packed with revelations! Two weeks ago, during Skye’s dream sequence you guys played “Daisy Bell” during it which led us to believe that this was the final clue to Skye’s true origin of Daisy Johnson a.k.a. Quake. Given the end of this episode, is Skye in fact, Daisy Johnson? MT: Playing that lullaby was definitely deliberate. It’s very cool to see a few people have keyed into that. But will Skye get cool Quake gauntlets? Does she get the full gear? There have been a ton of little hints and nods to the comic series “Secret Warriors” with characters like Koening, Whitehall, and the big one - S.H.I.E.L.D. being a part of Hydra. Is that an omnibus that is just sitting on everyone’s desk and can we expect other small nods from that series as the show progresses? MT: It’s definitely one of ours, and our writing staff’s favorite series. I think it’s pretty clear in the season and a half that you’ve seen elements from that. But as with everything on our show. We take elements that exist and put our own spin on it. We’ve merged a few concepts and properties in our mythology. I was talking to Clark recently, and he mentioned that he loves being just as surprised as fans are. How important is it for you to break news to the cast all together? JW: We tend to keep them in the dark, a lot of the time. MT: We really do. Sometimes they don’t know what’s happening until we do a read through. JW: Fortunately it’s because a. some of them can’t be trusted. But also, making TV and the shifting schedules, we never want the actors to be infusing their characters with something they shouldn’t know just yet. MT: We never want to lay on a promise that may never happen because, everything is always in flux. For example, the whole Ward reveal, we never wanted Brett to play that the whole way through. We wanted him to play that dedicated, straight and narrow, SHIELD agent. I think it worked out pretty well. So yeah, keeping them in the dark is, key. JW: But like something of the very end of this episode, with the death of one of our characters. Thats something we don’t take lightly. We try to be as sensitive of everyone’s feelings. The cast is very much a family! It’s not like comics where the character doesn’t get drawn again. These people spend long days together, doing hard work. MT: Right, and the audience has grown to love BJ and his character as much as we have. That was a very difficult conversation to have, and a very difficult story point to break to the cast. We just knew that Skye’s origin story needed to be told with complex emotion. Well we know the mystery of Skye’s story is still one that’s not fully told yet, but how does it feel for you guys to finally get to a point with a character that fans have fallen in love with to have something so major be revealed about her? JW: It’s one of the great advantages of Television. MT: We’ve been building this mystery over a season and a half. JW: If this were a movie, you’d get to know her for 15 minutes and then we’d have to go straight to the reveal. To do it over a year and a half and see her go through all the emotional ups and downs is so gratifying. You see her evolve as a person and an agent and now there’s a whole new side of her that we get to explore. Will you guys be referring to Skye and the others as Inhumans? JW: We’ll see how we treat that. It’s been alluded to that Raina is very much cut from the same cloth as Skye, and following along the Inhuman mythology for a second here, there are two different outcomes when it comes to “Terrigenesis” - one that leaves you with awesome super powers, and one that doesn’t. In fact does something else entirely. Given the dichotomy between Skye and Raina, and the fact that Skye comes out of the process unscathed and with powers, could Raina possibly end up as an Alpha Primitive? MT: Well, you catch a very subtle glimpse of Raina at the end of the episode. We can’t say much, but what we’ll say is that, Raina has always been the kind of person who exudes confidence. She can walk into a room and play anything to her liking. And this is something that she has hoped for her entire life. She’s the one who talks the most about evolution and destiny. She essentially has always chased what her “birthright” is, and what she’ll become. JW: We’re going to see how this process affects both girls differently. Can fans expect the ratcheted up tension to be relieved a bit heading into the second half of the season or is it still full steam ahead? MT: There will definitely be an emotional toll on all our characters but no, the urgency and momentum continues. Especially since what you see at the end of this episode, we kind of can’t pump the brakes now. At the very end of the episode, we see a new mysterious character show up who has an obelisk of his own. He bears a striking resemblance to an Inhuman character called Reader. Can one assume it might be him? JW: We’re not revealing anything about him just yet, he’s one of our mysteries for the second half of the season.